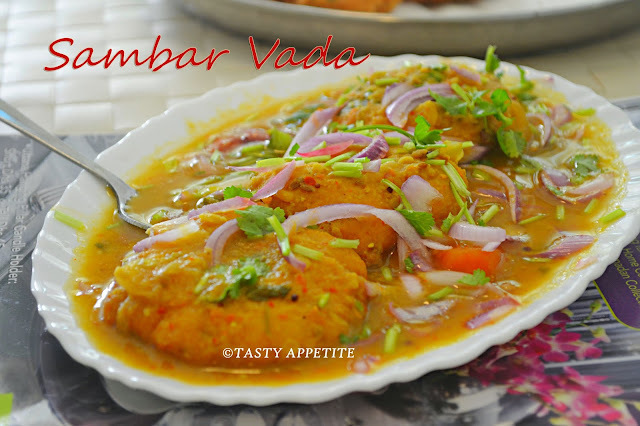 Today, I would like to share one of the traditional delicacy of South India, Sambar Vadai. 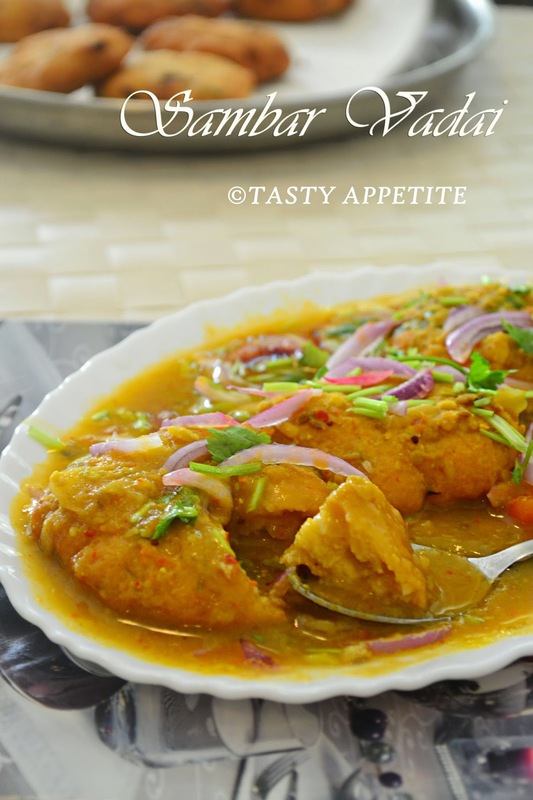 You can get this famous dish in every hotel and small café inTamil Nadu. 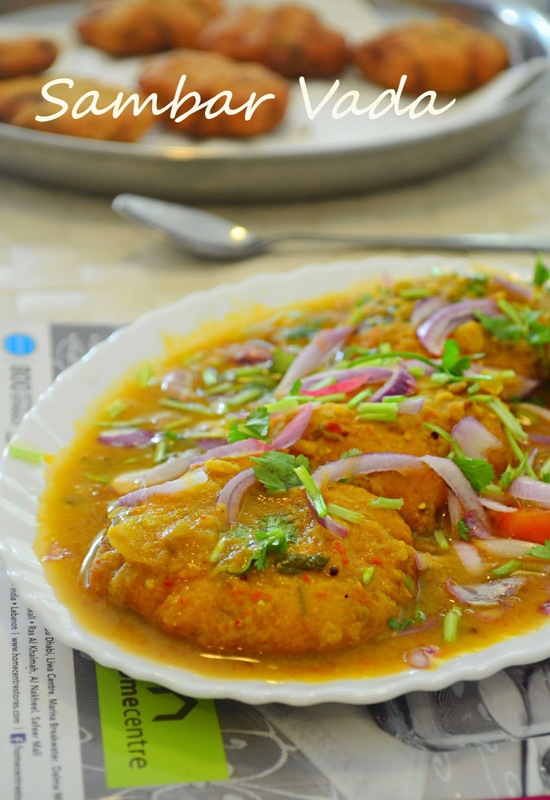 Even though its originally a South Indian dish, its famous all over the world. 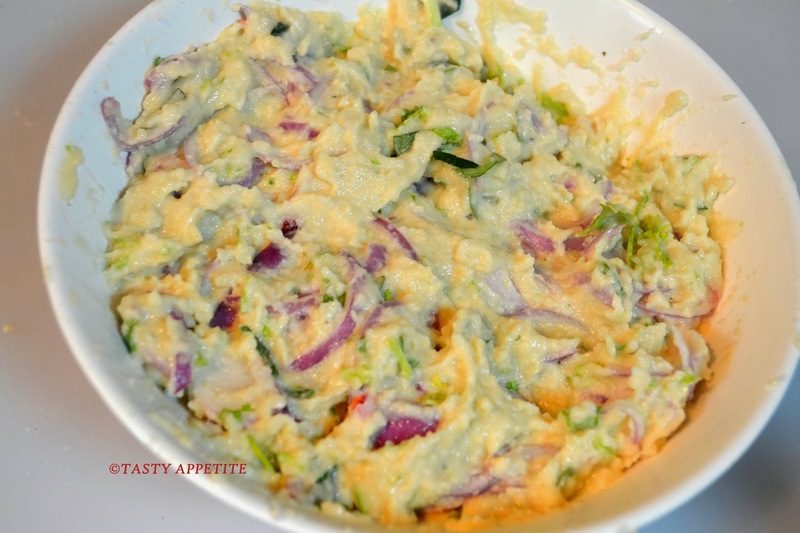 I love to prepare this scrumptious snack quite often, as its my hubby’s all time favorite. It tastes extremely appetizing that we cannot stop taking one. The preparation is not so difficult. 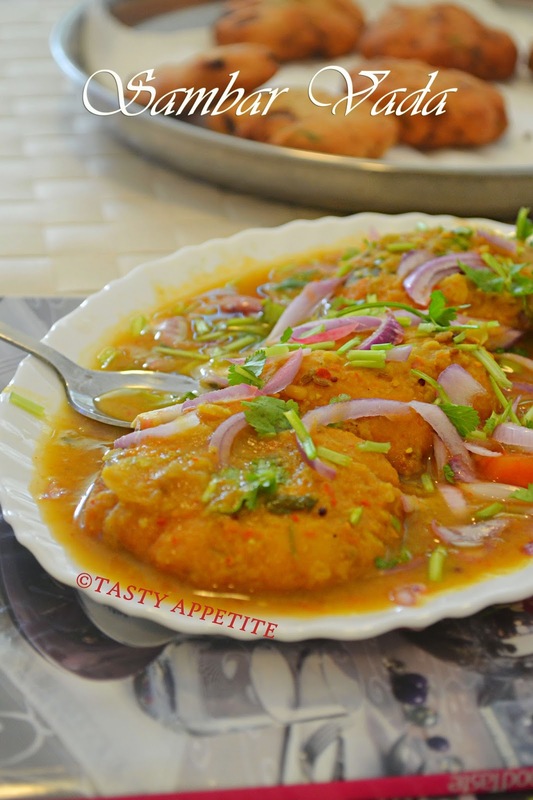 First hotel style tiffin sambar is prepared and then the puffy dal vadas are immersed in hot sambar for to absorb the gravy. 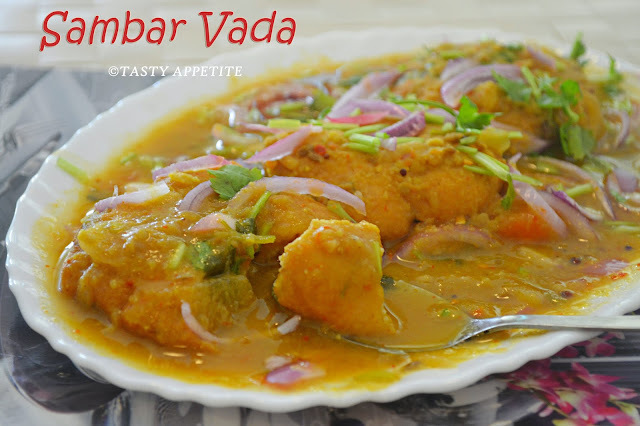 Here goes the best tasting authentic Sambar Vadai recipe.. 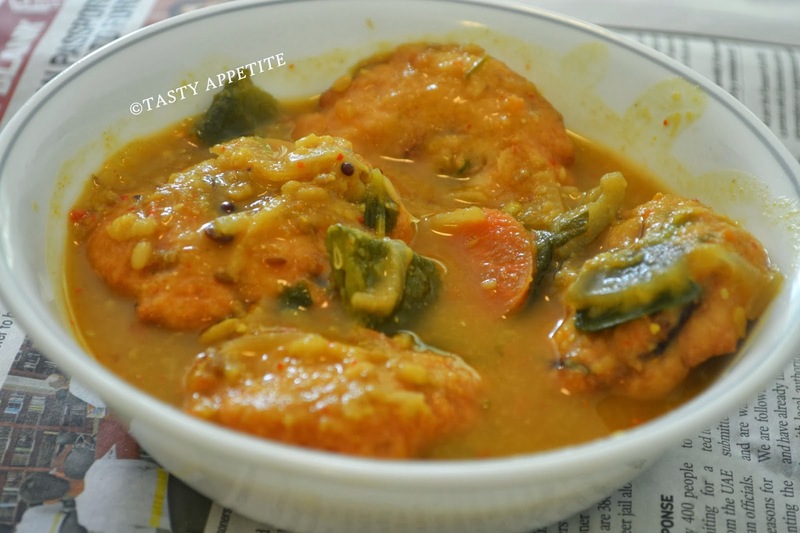 Check out the easy stepwise recipe here to prepare the South Indian delicacy arachuvitta Sambar..! 1. 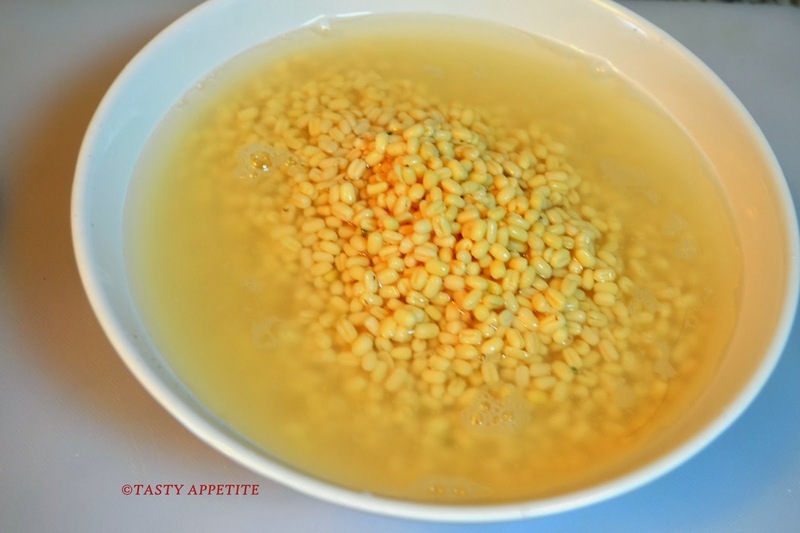 Wash and soak whole Urad dal and 2 tbsp of raw rice for at least 1 hour. 3. Add it to blender, add salt, green chilly and grind it to fine paste sprinkling water now and then. 4. Take care the batter shouldn’t turn watery. 5. The consistency of the batter should be as shown in the pic. 6. 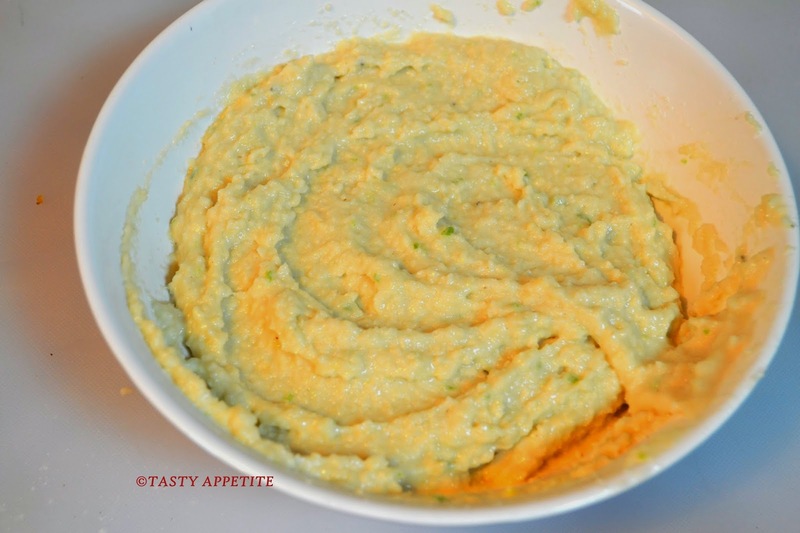 Transfer the batter to a mixing bowl. 7. Add hing, finely chopped onion, ginger, coriander leaves, curry leaves and cumin pwd. 9. Heat oil in a frypan. 10. Take water in a small bowl. 11. Wet your right hand and take a small ball out of the batter. 12. Pat it flat in your wet left hand or in a wet plastic sheet. 13. 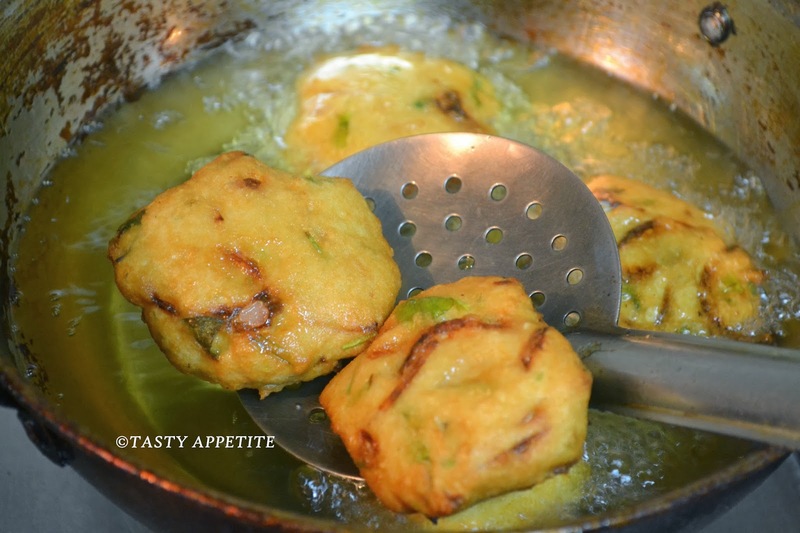 Gently drop the vadas to the hot oil. 14. Repeat the same for the remaining batter. 15. 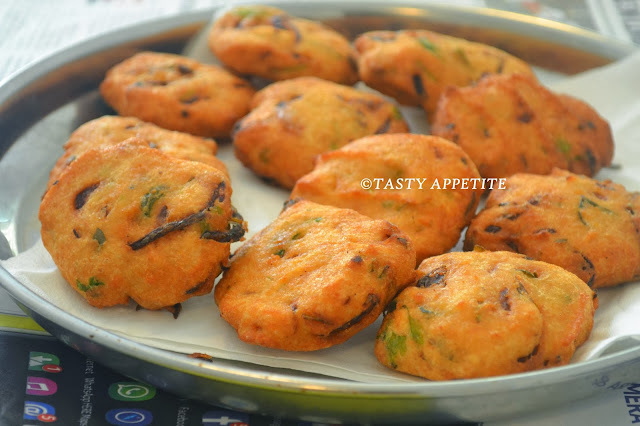 Fry vadas in batches, 4 or 5 at a time. Do not overcrowd the oil. 16. Fry them in medium flame, turn over to other side once it becomes firm. 17. Take out and drain it in a kitchen towel, once it becomes golden brown and crisp on both sides. 18. Healthy and yummy Medhu vadas ready. 1. Take 2 cups of hot water in a wide bowl. 2. 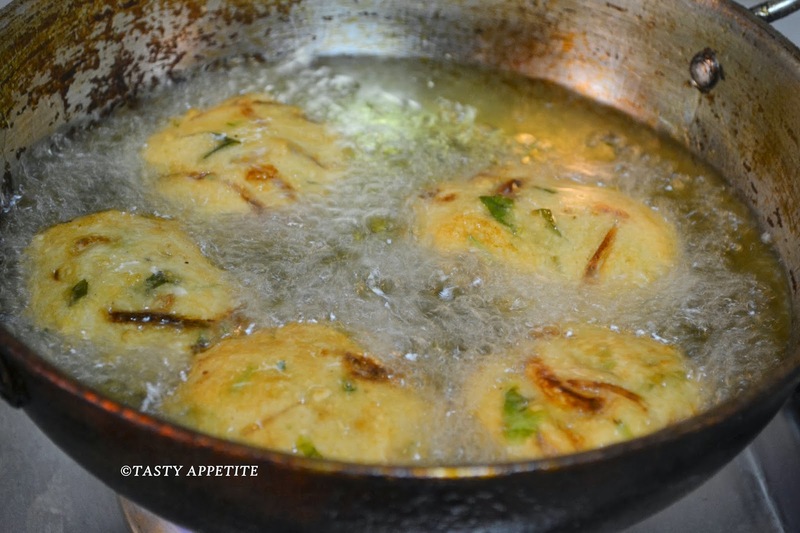 Add the vadas to the bowl. 3. Immerse in hot water for less than a minute and then squeeze out excess water lightly. 4. 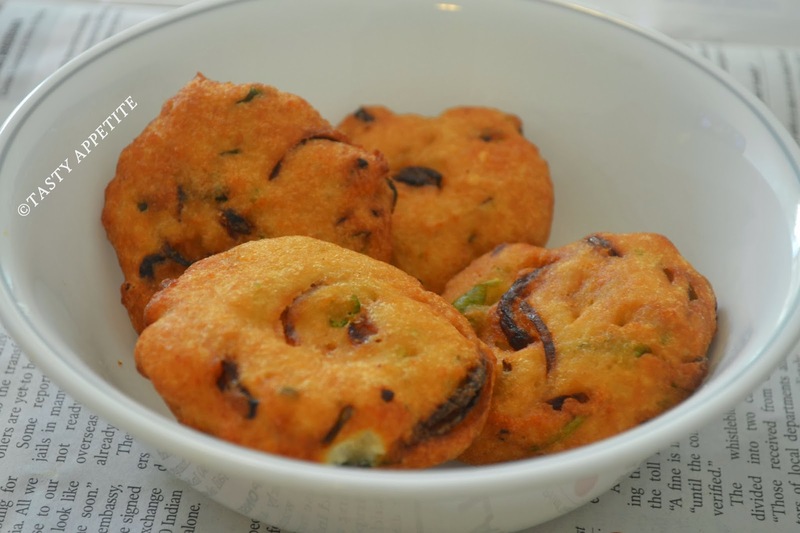 Now place these soft vadas in a bowl. 5. Pour arachuvitta sambar on it. 6. Allow them to stay for at least 30 mins. 7. 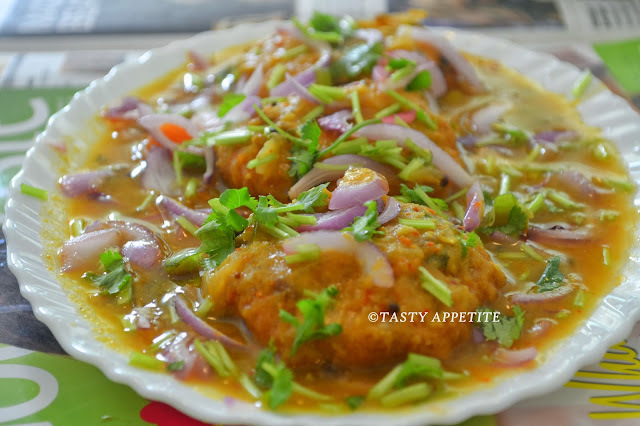 Transfer them to serving plate. 8. Pour enough hot sambar over it. 9. Garnish with finely chopped onion and coriander leaves. 10. 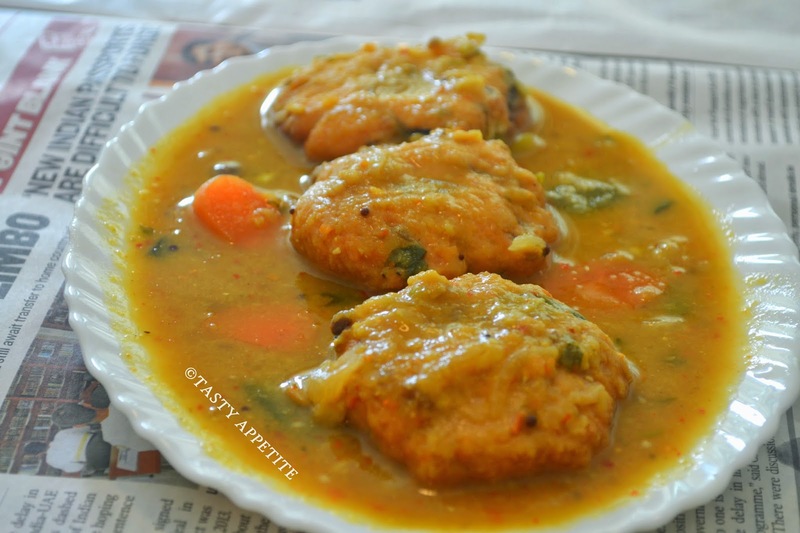 That’s it delicious Sambar vadai ready. 11. 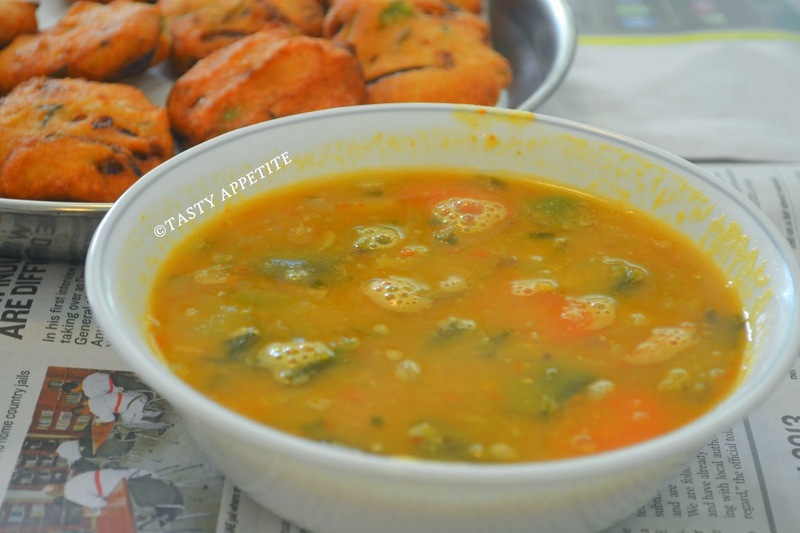 Enjoy lipsmacking Sambar vadai as breakfast or evening snack or anytime you wish.